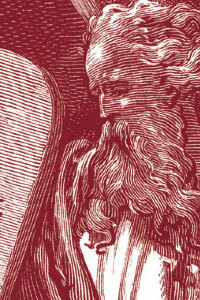 Moses was the prophet through whom the Israelites received the Torah. Governor Linda Lingle Hawaii’s Governor describes how Jewish values make her a better leader. Shui Maizlech The ultimate act of compassion is to treat the deceased with dignity, a ritual that Shui has begun to practice regularly. Mount Sinai (BTW: Many scholars believe that Mount Horeb is another name for Mount Sinai.). Passover (Yup! Check out Exodus 12, the first Passover seder was in Egypt—complete with matzah and bitter herbs.). Didn’t make it to the Land of Israel, Eretz Yisrael. “You shall have no other gods besides Me” (Exodus 20:3). Israelite born into slavery in ancient Egypt. © 2010 Behrman House, Inc.